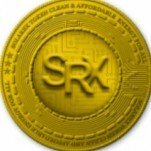 Solarex model offers a clean, renewable source of energy solution for retail customers based on blockchain technology with simple financing options and investment opportunity via Solarex token. The solar solution will be developed on blockchain technology with decentralized ledger for greater flexibility of customers who can transact in power with the company and within the peer community in a secure and transparent manner. Solarex is going to develop the Solarex App for both iOS and Android. Solarex will also distribute Smart Meters to all their customers which will come with a display screen with real-time data on how much energy is being produced and consumed in SRX.